We're sorry, for the time being all we have to show is this album cover which isn't nearly as exciting as what's to come! A simple magazine album package doesn't cut it anymore. Back in 2005 a magazine album package was so cool and different that they sold themselves. But that was more than seven years ago. Now, everybody has seen one of these album packages and just having a cool layout with nice images just isn't enough. As we rolled into 2013 we changed suppliers for our magazine album to one that makes a higher quality product. At the same time they unleashed so many new options that everything has changed once again. We're going to be aggressively updating this page with new covers as we can get them into our clients hands. A version of the Oxford Package came out toward the middle of last year and it was very popular. It was essentially our Sapphire package with a genuine leather cover and two parent albums. The Oxford package has a couple of things going for it. Fist it has been upgraded to the Artisan Elite® album, which has a significantly better build than our older Artisan AI® albums. A second thing that has changed is our focus on how we offer albums. Starting this we're offering the Ideal Coverage package which is wedding photography only without a wedding album. Magazine albums are expensive to aquire and time consuming to create. Not everybody wants or needs a wedding album when they are looking for a wedding photographer. But the people who do want a bridal album we're going to put even more time and attention into each layout than we have in the past to make an even larger impression. Not only that but we're going to put some jaw dropping cover options together to send a very loud message that your wedding album isn't just another magazine album. Nine hours coverage of contemporary, comprehensive innovative wedding photography from a 15+ year seasoned wedding photographer. More than wedding photography, we work with you to make certain your day runs smoothly and we maximize your photo opportunities. In this period of time we'll get more images, and better images than what you'll get with other studios. That's one thing you can count on, we know how to shoot a great wedding! Good solid photos are part of it, but even more important is the ability to select the right combination of images to tell your story. Too few images and there are huge holes in your story. Too many images and your album just looks cluttered. We've been making these layouts for over ten years and we've got a good handle on finding the right images and arranging them in the right way to tell the best story possible. You can actually look forward to the layout process! Your first layout within a month of your wedding!- It's not always perfect on the first go around, but it's pretty close. Best of all it saves you hours and hours of leg work and gives you a framework to making your dream album! From this first layout you can change it up to your liking. And the album doesn't get made until you approve it. Update your album anywhere- The design process is all done online on a secure website. If you are familiar with Facebook it's similar to using it. We can chat about each layout without having to be in the same room! There are even free Android and iPhone apps so that you can give your friends a sneak peak at your layouts. 12"x12" 40 side Artisan Elite® magazine bridal album: The build quality of this album is excellent! There are no huge gutters the center of the album like is common in other albums. You will enjoy a full view without annoying cuts or stops in the layout. The album is manufactured with pride in Southern California with the most state of the art equipment in the industry. This allows for a fast turn around and a build quality to last a lifetime. Written release of images: Along with the images you will receive a written release of the use of your images. With this you will be able to make inexpensive reprints. Keep in mind these images are color corrected, adjusted and ready for printing. Our clients have had good luck getting professional looking images made at various consumer photo labs. They will ask for a copy of the release when you pick up the prints. Image Bank- Once you receive your images and album you are ready to move on to your "happily ever after" part of your life. It's rare but sometimes images get lost and albums get ruined . We go the extra mile to save your images and layouts. We offer reduced cost album replacements and free replacement of your wedding images for the first five years of marriage (limitations apply please contact us for more information). We've had brides call us speaking really softly at first "Hello, I don't know if you remember me but. . ." They tell us they lost their disc with wedding images and are impressed that we can usually locate their images while they are on the phone. Though you're not planning on losing your images it does happen. Data management is a HUGE issue with other studios. Smart Payments Options- Don't stress about the money, we've got options for you! First, you never spend more than $1000 before your wedding for any package. Payments are simple, $500 when you sign up, $500 two weeks before the wedding and the balance when you want your high resolution images after the wedding. We also have convenient ways to pay including PayPal and Google Checkout. This means that we can accept nearly every major credit card and payment with the exception of Bitcoin and Blue Chip Stamps. Two 6"x6" Parent Album- The parents flip out with this option. The 6"x 6" size is large enough to see everything clearly. Yet it's small enough for mom to put in her purse and take along everywhere to brag about you. "My son/daughter had such a beautiful wedding!" Often parents will opt to buy these parent albums for themselves. Not every bride does this but some will approach their parents and ask them to chip in a little for a parent album. In the end they can upgrade to a better album and more coverage. Leather Album upgrade with cut-in image on front- The cover for the Saphirre package comes standard with a synthetic leather. Normally we'd say that you shouldn't want the synthetic stuff, but this may not be true anymore. The synthetic leather wasn't anywhere close to genuine leather, now it's so close that unless you really know your leathers it's difficult to tell by look and feel. The genuine leather has it's own smell when it's new, but that goes away after a while. If you want genuine leather on your album this album will come with it. If it doesn't matter we'll take the cost savings and apply it toward other album cover upgrades or accessories. When you meet with us we'll show you the real leather and sythenic and let you decide which one you like best or if it doesn't make a difference. 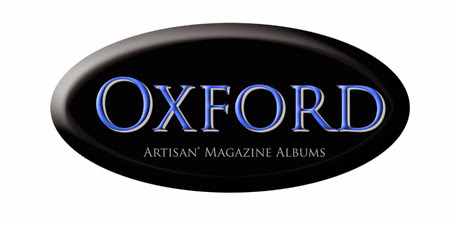 The Oxford Package starts at under $2200! There is a $300 upgrade to this package that we'll only mention on this site but give no details about. When it came time to negotiate with our new album company we drove a hard bargain on one option. What we asked for was something we felt was too much but they went along with it anyway, on one condition. We couldn't talk about it on our website becauase it woudn't be fair to their other clients. All we can say is if you like this package you'll love "The Grand" upgrade. Together the package is known as "The Oxford Grand." Send us an e-mail. We'd love to tell you about!